Work is nearly complete on Gold-Eagle Cooperative’s new 16,000-square foot maintenance shop, which will open in March 2018. The shop is located on the north edge of Eagle Grove. Ken Morse, who runs Gold-Eagle Cooperative’s truck wash, and Nate Hansen, transportation department director for Gold-Eagle, discuss biosecurity protocols for the truck wash, which provides up to 30 washes a day for Gold-Eagle feed trucks. Gold-Eagle Cooperative’s state-of-the-art truck wash complex in Eagle Grove includes two truck washes in one, with a wash bay on each side of the building. The new system can complete a wash and chemically disinfect a truck every five to eight minutes. 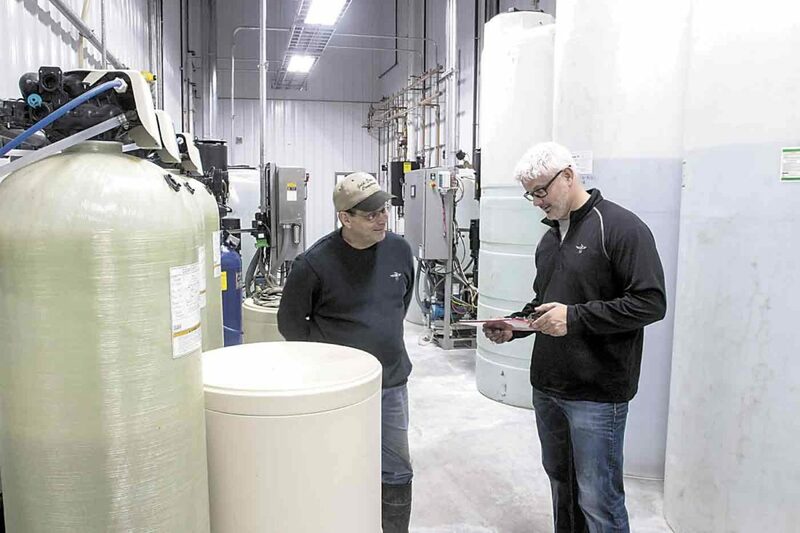 EAGLE GROVE — Keeping equipment rolling is easier and more efficient at Gold-Eagle Cooperative, thanks to the co-op’s new truck wash, which has been operational for a few months, and a new maintenance shop that will open this spring. 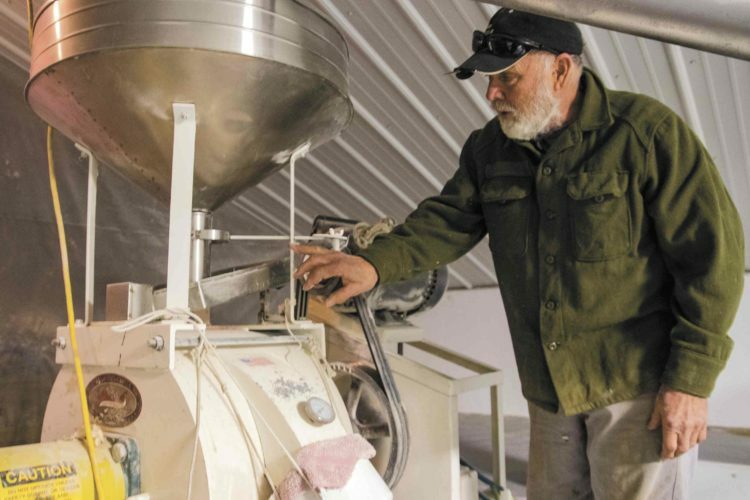 “The time was right for Gold-Eagle to invest in our new, state-of-the-art truck wash and spacious new shop on the north edge of Eagle Grove,” said Brad Davis, general manager of Gold-Eagle Cooperative, which is headquartered in Goldfield. While Gold-Eagle had operated its own truck wash for nearly 20 years, our team decided it was time to upgrade a few years ago. The new truck wash opened in the February 2016. 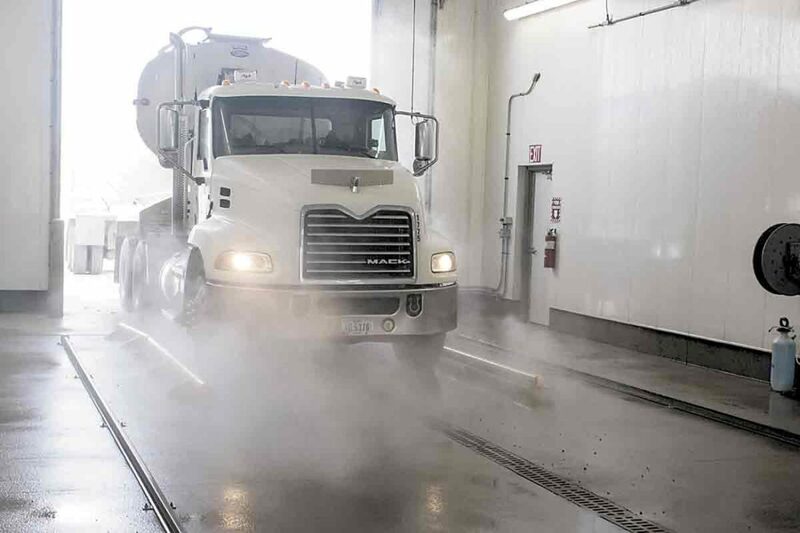 Located near Gold-Eagle’s feed mill, the new truck wash has been a big plus for the company. With its dual bays and modern equipment, this mechanized truck wash is helping Gold-Eagle maintain high levels of biosecurity and provide feed customers with better service. The state-of-the-art complex includes two truck washes in one, with a wash bay on each side of the building. The new system can complete a wash and chemically disinfect a truck every five to eight minutes. 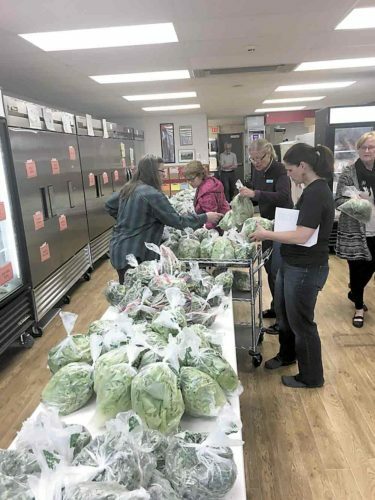 That’s a significant improvement from the old system, where it could take approximately 20 minutes to wash and disinfect a truck by hand, said Nate Hansen, Gold-Eagle’s transportation department manager. Precision nozzles in the floor of the wash provide consistent application and ensure that truck underbellies and wheels are thoroughly cleaned. The powerful system helps remove road grime quickly from each truck. The computerized system also documents that the wash and/or disinfection occurred and what time it took place. It’s not uncommon for 20 feed semi-trucks go through the wash on a typical day, with 30 washes being provided per day. That means some trucks pass through the bays multiple times a day, depending on their routes. 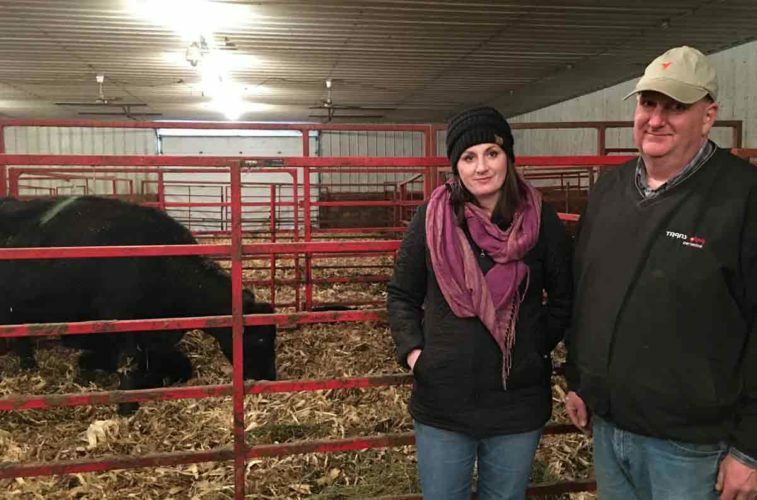 “The truck wash is a key part of our biosecurity protocols to provide safe, high quality feed and efficient delivery service to our customers,” Hansen said. Across the street to the north of the truck wash is another major upgrade for Gold-Eagle Cooperative. Work is nearly complete on the new 16,000-square foot maintenance shop, which will open in March. The shop will replace the co-op’s much smaller shop, located near the grain elevator close to downtown Eagle Grove. 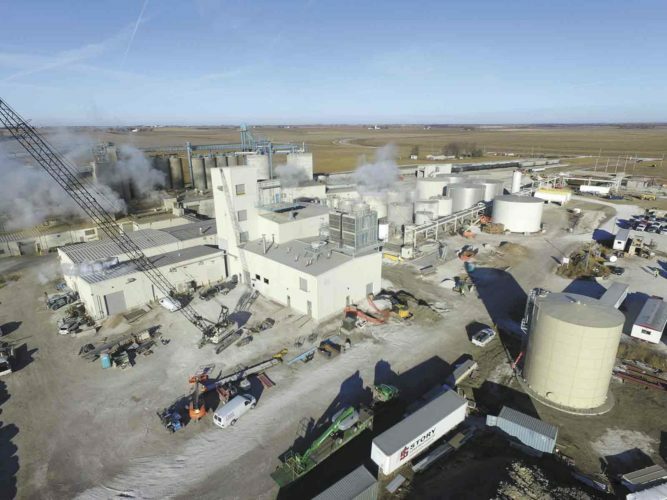 “The new shop will free up much more space and give us more options to make our Eagle Grove grain facility more efficient,” Davis said. The new Eagle Grove shop will be a hub where the entire Gold-Eagle truck fleet can be serviced. 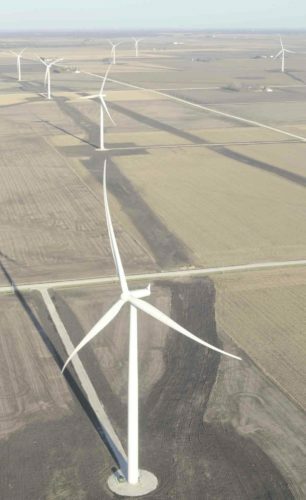 The shop is a bbusy place, since there are more than 70 vehicles in the cooperative’s fleet, including 18-wheel semis, fertilizer tending trucks, trailers and other vehicles, Hansen said. Those vehicles are part of the cooperative’s extensive inventory of rolling stock, which includes more than 200 pieces of equipment. The new shop will include vehicle repair areas, a parts department, plenty of storage areas, a tire area, offices, a break room and more. 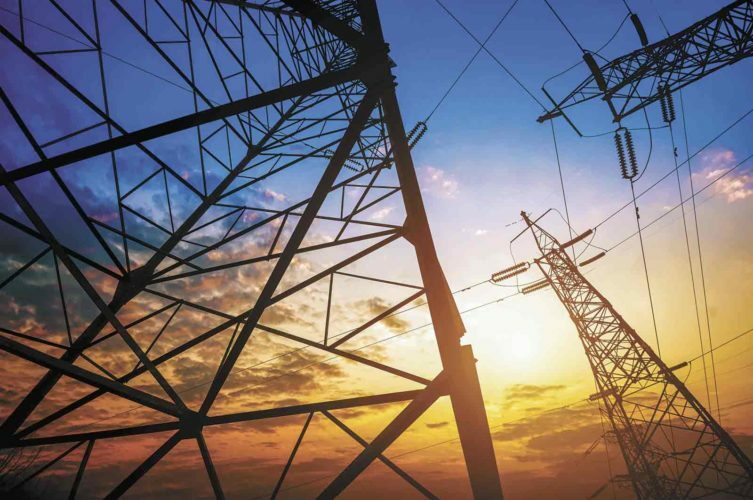 The new shop is designed with energy efficiency in mind, from the lighting to the climate-control systems. A used-oil burner will help heat the shop. 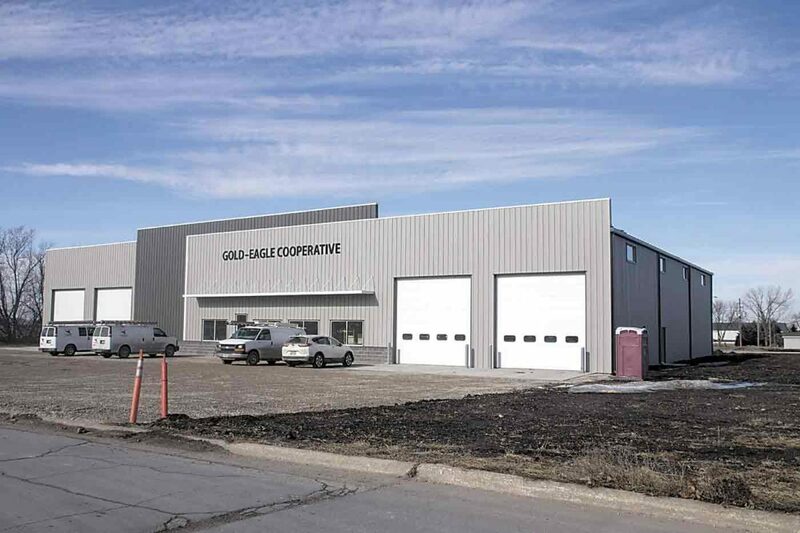 Gold-Eagle’s investments in the cooperative’s new shop and truck wash reflect a commitment to serve local farmers with modern, efficient facilities and keep the business strong, Davis added.